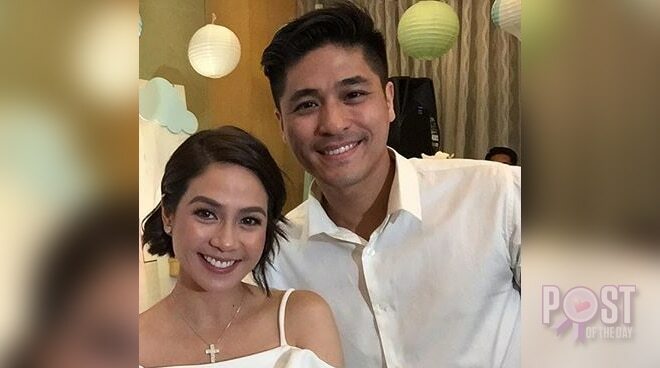 Kaye Abad and Paul Jake Castillo had another baby shower and this time they revealed that their baby’s name would be Joaquin. Comedian Pooh and Patrick Garcia’s wife Nikka Martinez were also present at the party. Two Wives teAm at kaye abad-castillo’s baby shower @kaye_abad @pauljake_castillo Congratz mars kaye and Pj! Yehey!!!!! In a recent interview with the actress, Kaye revealed that she won’t be leaving showbiz entirely but will be devoting time to her baby and family before she accepts acting jobs again. Kaye is currently based in Cebu, where her husband’s hometown is.